I am aware that sometimes my nail art designs could get a bit eccentric because that's how I try to be different from other nail artists. I like creating designs with 5 different prints because not only does it look so cute but it also gives you guys more freedom to choose which nail you like best to paint on yours. But I also know that not everyone can draw steady lines and shapes, so this time I wanted to create something easy yet fun! 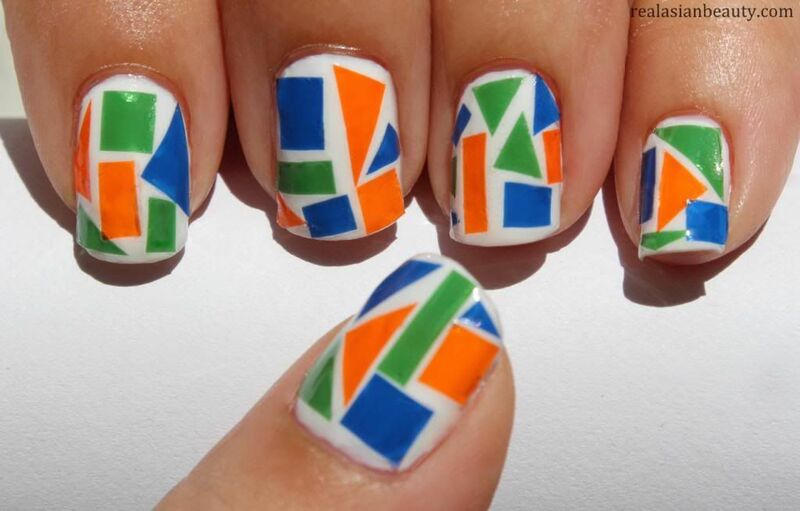 And what's more easy than sticking shapes on your nails using cellophane? Yes, cellophane. 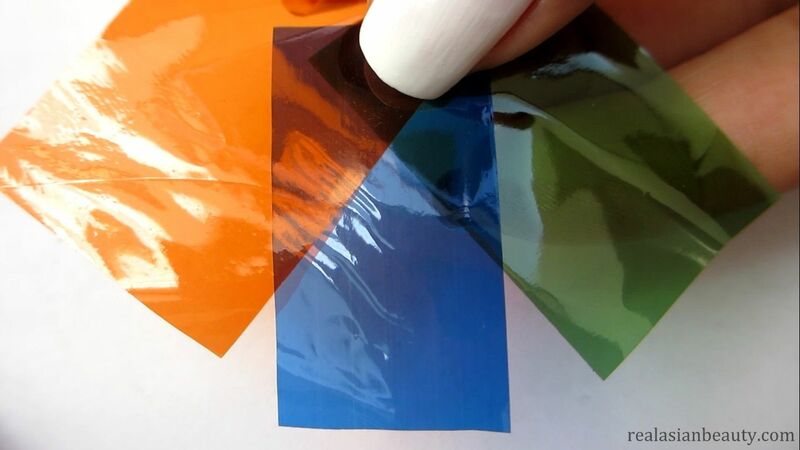 The colored plastic they use for pastries or other art works. I remember how I used to love those chewy and milky candies when I was younger. Some people are asking where they could get cellophane. 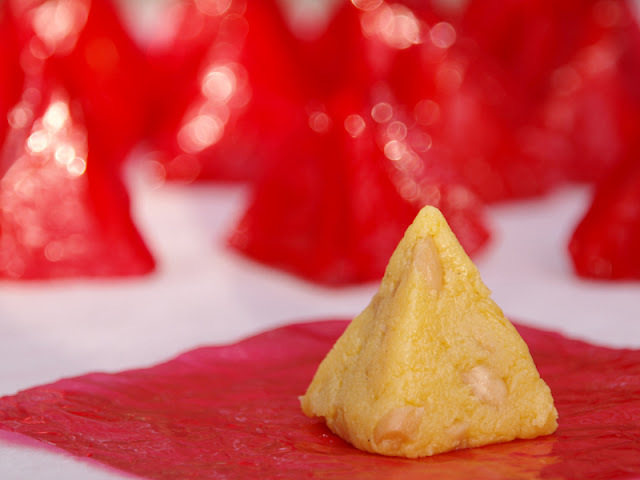 This is used for wrapping candies, pastries and other food so you may want to check a nearest pastry/baking supply shop. I got mine from a bookstore because this is also used for crafts and other art works. I used 3 colors, orange, blue and green. I wanted to get red, too, but they were out of stock. 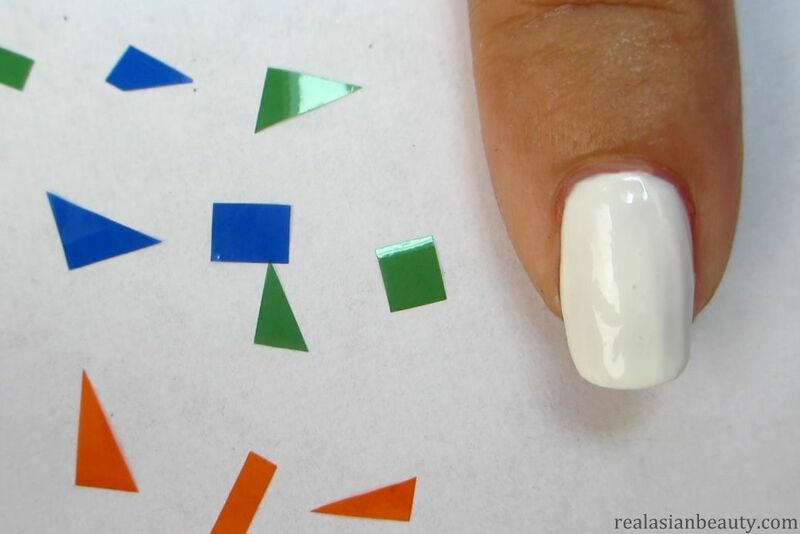 What you need to do is cut out small triangles, squares, rounds and rectangles and then randomly stick them on your nails. It's really so easy, right? 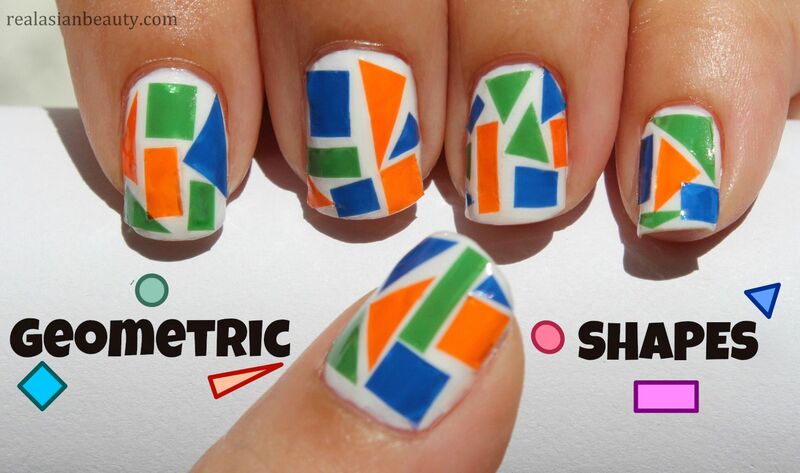 Now you don't have to worry about using brush or nail art pens just to create perfect shapes. 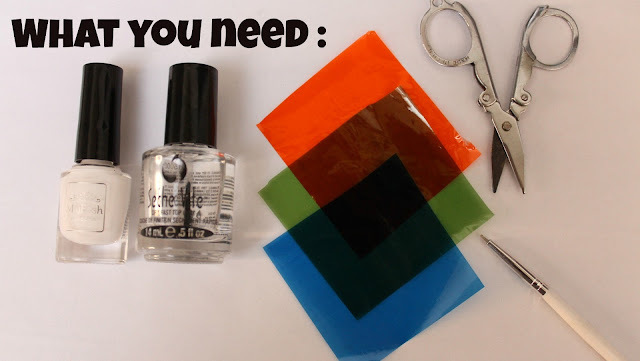 You only need a few things and then your nails are going to look so cute and colorful!